Log in with your library card to read and download premium content from HeinOnline, Index to Legal Periodicals, LegalTrac and more. HeinOnline is an archive of law reviews, Federal legislation, codes, regulations, legal treatises, and government documents. HeinOnline boasts a number of additional databases, including historical state reports and statutes, Legal Classics, English Reports, and US Attorney General Opinions. LegalTrac and Index to Legal Periodicals offer access to full text and abstracts of law reviews and newspapers. Search our catalog for a journal or newspaper title to see what is available online and in print and log in directly from the link in our catalog. In partnership with Wisconsin's BadgerLink, we also provide links to several other article databases on our Articles & Journals page. 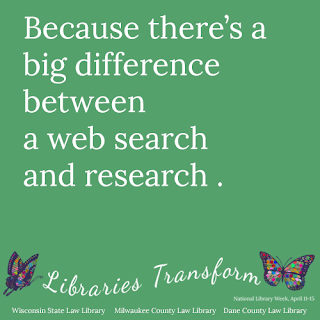 Library cardholders can access most through the links on our website, or use their library card number to log in through the BadgerLink website. 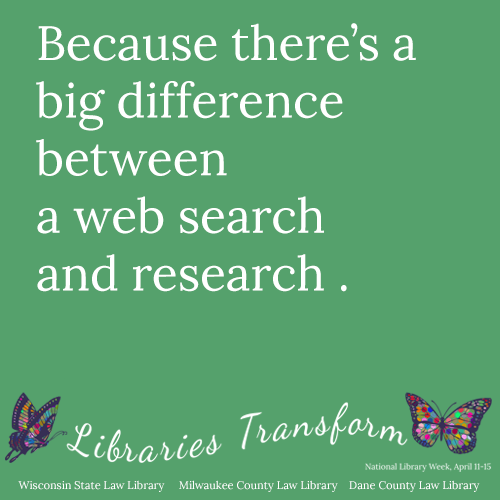 Use your library card to log into HeinOnline or LegalTrac from home or work. If you have questions or need a reminder about your barcode number, please ask a librarian.